Back in 2010, Orange County native, Saddleback high school alum, Dan “Nitro” Clark had a crazy idea. 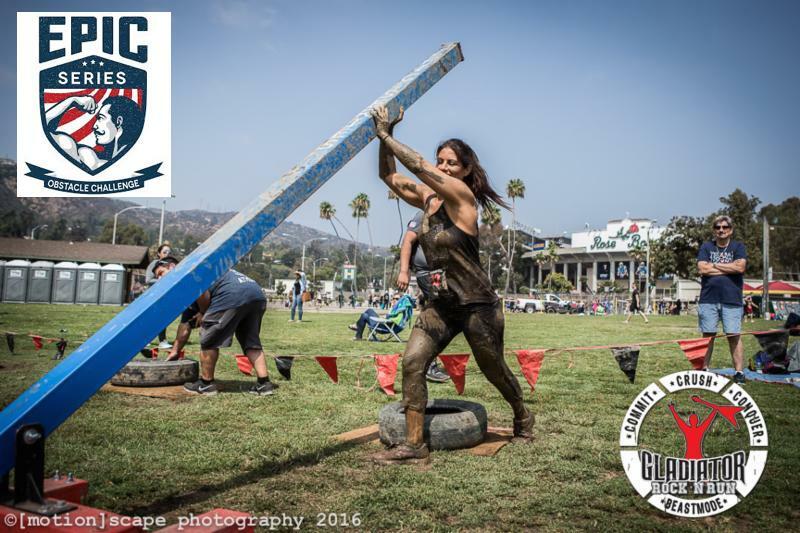 Create an obstacle run and kick it off in the OC. The first event took place on a frigid December morning at a small park in what used to be Irvine Meadows. Since then the Gladiator Rock’n run has had over 100,000 participants scurry across the course to Gladiator Glory. On Saturday, April 14th a new adventure awaits OC Gladiators. You will rumble down the players tunnel onto the field and experience Angel stadium like you never have before. Prepare yourself for 5 kilometers of collective scampering as obstacles will be placed in and around the stadium to test your mettle. You’ll do Burpees in the clubhouse, run on the warning track, up stairways and through the concourses for a fast-moving tour through the park. 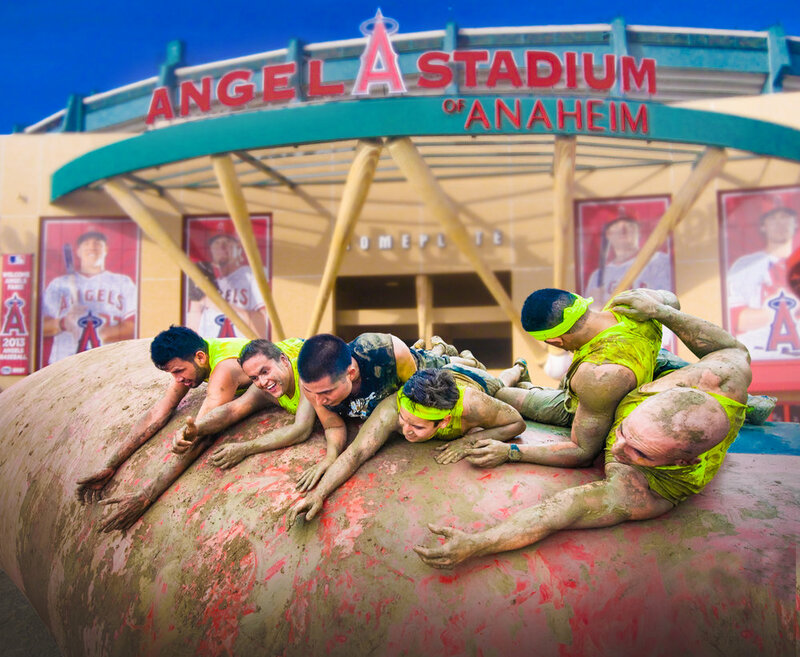 With the iconic Big “A” as a back drop, Angels stadium is the perfect race for the whole family. Grab your friends and sign up NOW. Good times and epic badassery await! Gladiator is excited to collaborate with EPIC SERIES in Orange County. Check out some of the obstacles at the event below! This is perfect for athletes of all levels, from first time racers to seasoned vets. 3 miles over diverse terrain and packed with awesome Gladiator obstacles. It is a challenge, but believe in yourself and what you are capable of. You got this. The $13 racer insurance fee is mandatory for all racers and must be paid at the time of registration. Cash only. Pay as you enter. Spectators are FREE. Bring your friends and family to cheer you on as you go for Gladiator Glory. Course is specifically designed so your peeps can see you conquer 4-6 Obstacles. Sweet prizes for top finishers. The most Mudtastic day of your life. A memory that will echo into eternity. Waves of 400+ racers will be released every 30 minutes. Each wave consists of both men and women from every age group. You may register for any available wave regardless of your age. Call out your friends and co-workers for an epic day of Adventure. Teams can be a minimum of 2 to 100's. The Largest Team gets a sweet award and a 10x10 team tent in the expo. Create a team during registration. Make sure all team members have the SAME start time. Get 4 Friends to sign up and you race for FREE. Click here for details. Spending Money for extra Beer, Gladiator Grub and Gear. An initialed, signed and dated copy of the participant waiver. This is optional, but will save time in line! Download here. Professional photographers will be taking event day photo FREE OF CHARGE. They will be available 5-7 days after the event. We’ll email you when your photos are ready! We will do our best to accommodate you whenever possible. Please note we have a strict NO REFUND POLICY. All sales are FINAL.